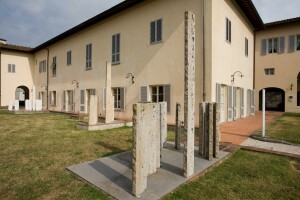 The project of Carlo Ludovico Ragghianti and his wife Licia Collobi of creating a permanent workshop of research and a centre of cultural experiences for the city of Lucca, is put into practice in 1981 with to the constitution of the Centro Studi sull’Arte Licia e Carlo Ludovico Ragghianti, thanks to the donation of the library, the photo-library and the archives of the spouses Ragghianti to the Cassa di Risparmio di Lucca. 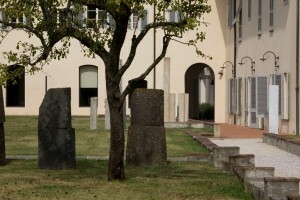 In 1984 the Centro Studi becomes Fondazione Centro Studi sull’Arte Licia e Carlo Ludovico Ragghianti; together with the Cassa di Risparmio di Lucca, also the Municipality, the Province of Lucca and the Regione Toscana become members. 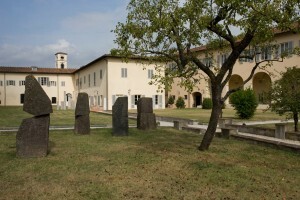 In 1992 the Fondazione Cassa di Risparmio di Lucca acquires the Ragghianti Foundation. 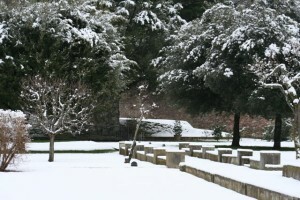 According to the donor’s wishes, the primary aim of the Foundation is still to offer an instrument for studying and spreading art in all its form. In 1992, the Foundation acquired the library, photographic collection and archive given by Pier Carlo Santini, its first Director until 1993. 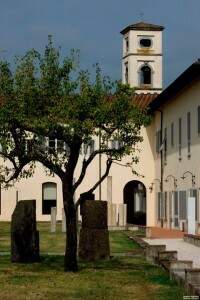 During the years the heritage has been enriched by other donations by Aldo Geri, Silvio Coppola, Dolores Sella, Raffaele Carrieri, Mario Tobino, Aldo Salvadori, Isa Belli Barsali, Giovanni and Vera Pieraccini. 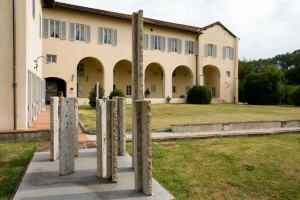 It currently holds more than 70.000 volumes and about 800 magazine titles, as well as a wide number of thesis of the History of Art Department in Pisa and given by Piero Pierotti. 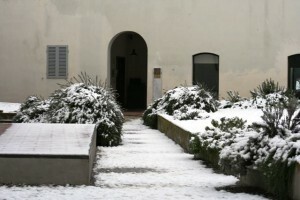 The Foundation possesses, in addition to the Ragghianti archive, those of Pier Carlo Santini, Silvio Coppola, Lorenzo Guerrini, Ida Cardellini and a collection of more than 36.000 brochures and pamphlets of art. The photographic collection contains about 180.000 images. 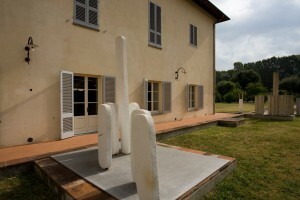 The Foundation keeps a rich collection of paintings, drawings, graphics and above all sculptures, donated by the artists. 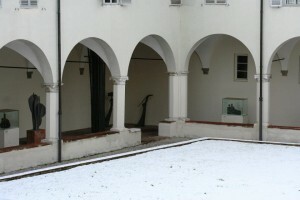 The sculptures are exposed in the cloisters of the Monumental Complex of San Micheletto. 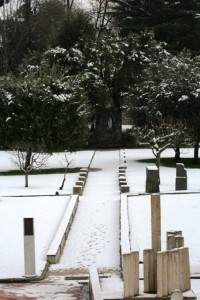 The activity of the Ragghianti Foundations focuses, besides on the library, photo-archive and archive, on the organization of art exhibitions, educational projects, lectures and conferences. From 2004, the Foundation is an editor and publishes its own catalogues, researches, thesis concerning its activities and the magazine “Luk”, which represents a periodical survey of the Foundation itself.